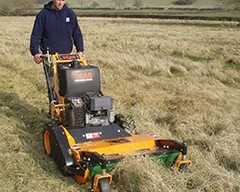 The Super Reel 30 is specially designed and built in the UK by STM to adapt the popular SCAG SWZ Pedestrian engine to a high performance fine cut mower. 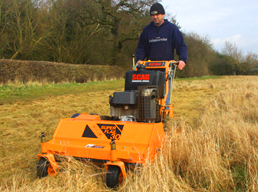 The STM Snow Plough provides a useful optional winter extra for the Scag SWZ pedestrian mower, extending its range of use yet again. A flexible solution for walkways and public areas, due to its compact size and maneuverability. 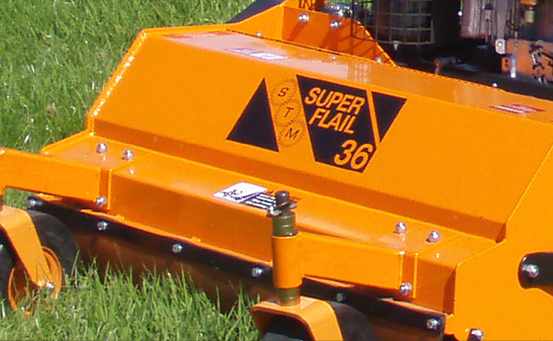 The STM range of Super Flail heads have been specifically designed for use with the Scag SWZ culminating in a versatile and robust pedestrian flail mower for all areas particularly grassland and rough with tall thick grass. High performance for increased productivity. 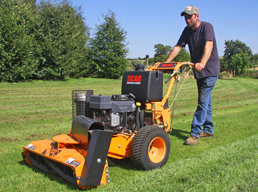 Versatile design and features for a quality finish. 30 – 36 – 48″ cutting decks available. Low-profile flail heads, featuring a choice between the Humus “System Flail” range and the award winning Humus “Safety-cut” mulching system.